I have successfully been following a Ketogenic diet for a month and a half. With a Keto diet you eat lots of fats, some protein and a small amount of carbs. I have been hitting my daily carb and fats goals but have been having trouble with my daily protein goal. Now that I am really incorporating intense workouts with the D28 Fitness Program it is important that I meet this goal. I wanted something fast and that tasted good so I was happy to try the Zahler's Reach Vanilla Whey Protein Powder. I wanted it to be really creamy so I placed it into my shaker bottle with some unsweetened almond milk. 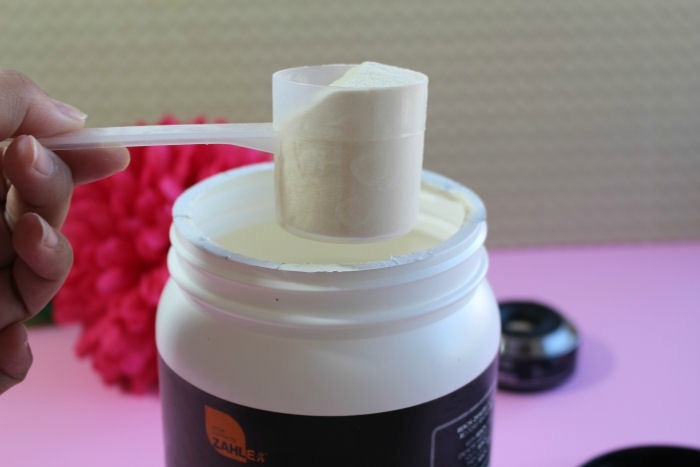 I have tasted a lot of protein powders and this one has to be one of my favorites in flavor and texture. It is also a huge plus that this one is sweetened with stevia. One day I was low on protein and had a craving for a milkshake so this is what I came up with. 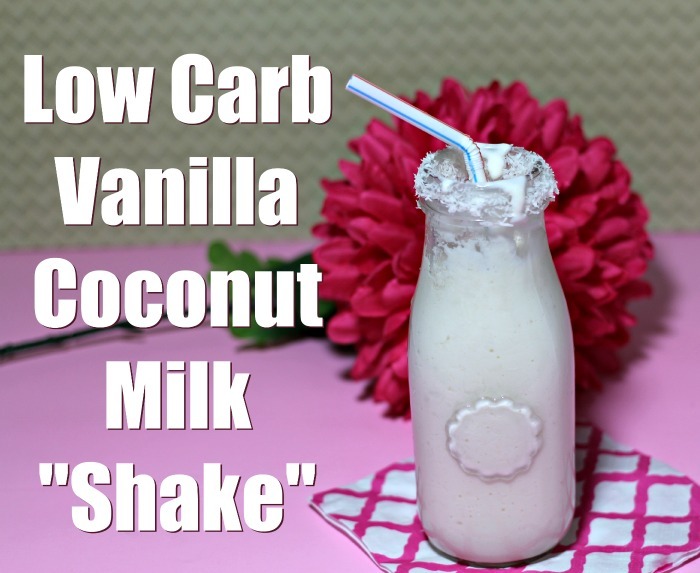 Low Carb / Keto Vanilla Coconut "Shake"
Place all of the ingredients into a blender and pulse until super smooth. Pour into a glass cup and enjoy with a fun straw. I picked the vanilla flavor because I am planning on making some low carb dessert recipes that call for protein powder. 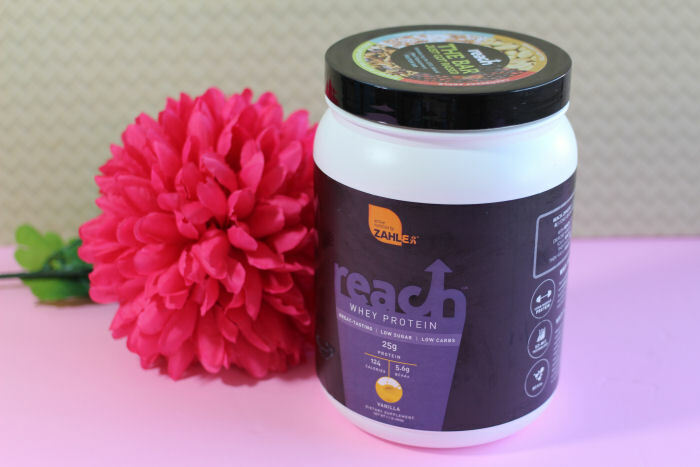 You can get the Zahler's Reach Whey Protein Shake Powder in Chocolate, Vanilla, Cookies and Cream, Cappuccino, Strawberry. I may try that powder in the cappuccino flavor--vanilla just never quite does it for me. I definitely could use some more protein in my diet--and low carb for a diabetic (like me) well--I have no real choice. That sounds like a great way to add protein into your diet. I have found that protein is a huge part of my success losing weight and staying on course. Love the idea to add coconut milk! I make smooothies with unsweetened almond milk and whey protein too, and I love your coconut twist. This looks and sounds amazing! I'm having bariatric surgery at the end of the year and this will be such a good treat for me. sounds yummy! Vanilla is one of my favorite flavor, I would love to try it.